Auburn officially began competing in intercollegiate football in 1892. The Tigers joined the Southeastern Conference in 1932 as one of the inaugural members of the conference and the Tigers began competing in the West Division when the conference divided in 1992. Auburn officially claims two national championships, but has been recognized with five national championships from NCAA documented selectors. Auburn has achieved twelve undefeated seasons and won twelve conference championships, along with eight divisional championships. The Tigers have made thirty-eight post season bowl appearances; including ten historically major bowl berths. The Tigers have the 12th most wins in FBS history with over 700 victories and have finished ranked in the Top 25 of either the AP or Coaches polls 37 times, including finishing in the top ten 18 times (ranked 12th nationally for top ten finishes). 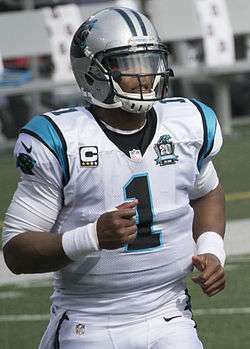 The Tigers have produced three Heisman Trophy winners: quarterback Pat Sullivan in 1971, running back Bo Jackson in 1985, and quarterback Cam Newton in 2010. Auburn has also produced twenty-nine  consensus All-American players. The College Football Hall of Fame has inducted a total of 12 individuals from Auburn, including 8 student-athletes and four head coaches: John Heisman, Mike Donahue, Ralph Jordan, and Pat Dye. Ralph "Shug" Jordan, who coached from 1951 to 1975, led Auburn to its first national championship and won a total of 176 games, the most by any Auburn coach. Auburn's home stadium is Jordan–Hare Stadium, which opened in 1939 and becomes Alabama's fifth largest city on gamedays with a capacity of 87,451. Auburn's archrival is in-state foe Alabama. The Tigers and Crimson Tide meet annually in the Iron Bowl, one of the biggest rivalries in all of sports. The Tigers are currently led by head coach Gus Malzahn. Auburn has the 13th most wins in the NCAA Football Bowl Subdivision. In terms of winning percentage, Auburn ranks as the 9th most successful team in the past 25 years with a 71% win rate (213–86–5) and 9th over the last half century (1955–2010) with 69%. Of the 93 current I-A football programs that been active since Auburn first fielded a team 116 years ago, Auburn ranks 14th in winning percentage over that period. Auburn has also had success against teams ranked number one in the nation. The Tigers have beaten four teams ranked number one in the nation. Three Auburn players, Pat Sullivan in 1971, Bo Jackson in 1985, and Cam Newton in 2010, have won the Heisman Trophy. The Trophy's namesake, John Heisman, coached at Auburn from 1895 until 1899. 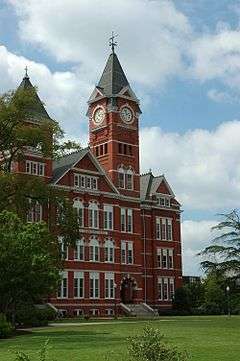 Of the eight schools of which Heisman coached (among others, Georgia Tech and Clemson), Auburn is the only school that has produced a Heisman Trophy winner. The Auburn athletic department honors the school's three Heisman winners with statues, along with a bust of coach John Heisman, outside the east side of Jordan-Hare Stadium. Five Auburn teams have been awarded a National Championship by an NCAA documented selector—1913, 1957, 1983, 1993, and 2010. However, only the 1957 title, awarded by the Associated Press, and the BCS National Championship in 2010 are claimed outright by the University. Four additional teams have also been named national champions by a minor selector, though none are recognized—1910, 1914, 1958, and 2004. † in 1993 Auburn was ineligible for the SEC Championship Game and postseason bowl game. The 1913 team was coached by Mike Donahue and was undefeated at 8–0, outscoring opponents 224–13. Auburn, led by senior captain Kirk Newell, finished as SIAA champions for the first time in school history. Newell, also a member of the Upsilon Chapter of Pi Kappa Alpha, went on to be a World War I hero and member of the Alabama Sports Hall of Fame. The Tigers were retroactively awarded a national title by The Billingsley Report. 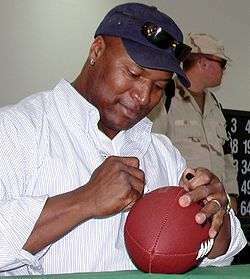 The 1983 Auburn Tigers, led by head coach Pat Dye and running back Bo Jackson, finished 11–1 after playing the nation's toughest schedule. Their only loss came against #3 Texas, who defeated the Tigers, 20–7. Auburn went on to defeat #8 Michigan, 9–7, in the Sugar Bowl. Despite entering the bowl games ranked third in both major polls, and with both teams ranked higher losing their bowl games, the Tigers ended ranked third in the final AP poll. The New York Times ranked Auburn number one at the conclusion of the season, but several other retroactive polling found Auburn at number 1, including the Billingsley Report. The universally recognized national champions for 1983 are the Miami Hurricanes. The Tigers, led by second year head coach Gene Chizik, completed a 12–0 regular season record and defeated South Carolina in the 2010 SEC Championship Game. On October 24, 2010, Auburn was ranked first in the BCS polls for the first time in school history. On January 10, 2011, Auburn defeated Oregon in the BCS National Championship Game in Glendale, Arizona, 22–19, to win their first BCS National Championship, and second claimed national title. Their quarterback, Cam Newton, became a Heisman Trophy winner. He had a total of 2,854 yards passing and 30 passing touchdowns. He also rushed for 1,473 yards and 20 touchdowns. The following table summarizes the source and totals for Auburn's national championship seasons. Since its beginnings in 1892, Auburn has completed twelve undefeated seasons. This includes seven (7) perfect seasons in which the Tigers were undefeated and untied. Auburn officially recognizes that it has won outright or a share of 12 total conference championships, including 3 SIAA Championships, 1 Southern Conference Championship, and 8 SEC Championships. Since divisional play began in 1992, Auburn has won the SEC Western Division championship and gone on to the conference title game on 5 occasions and is 3–2 in the SEC Championship Game. The most recent appearance came in 2013, as Auburn completed the regular season 11–1, and defeated Missouri, 59–42, in the 2013 SEC Championship Game. Auburn has also shared the western division title, but did not play in the championship game due to tiebreakers on 3 occasions. Auburn also finished the 1993 season in first place in the division but was not eligible for the division title. The Tigers have played Georgia 120 times in the Deep South's Oldest Rivalry, the most of any opponent. Auburn's primary rivalry game is the Iron Bowl against Alabama. The intersection of Magnolia and College streets in Auburn, which marks the transition from downtown Auburn to the university campus, is known as Toomer's Corner. It is named after Toomer's Drugs, a small store on the corner that has been an Auburn landmark since 1896. Hanging over the corner were two massive old oak trees, planted in 1937, and whenever there was cause for celebration in the Auburn community, toilet paper could usually be found hanging from the trees. Also known as "rolling the corner", this tradition originated after Auburn upset #2 Alabama in the 1972 Iron Bowl, The famous 'Punt Bama Punt' Game. "We beat the 'number 2' out of Alabama." Until the mid-1990s the tradition was relegated to only to celebrating athletic wins. Auburn has had 269 players drafted into the NFL, with Joel Eaves being the first ever to be drafted in 1937. Auburn has had a total of 31 first round picks, 9 top 5 picks, and 4 number 1 overall picks in the NFL draft. Auburn currently has 35 players playing in the NFL. The Iron Bowl is played annually between Auburn and Alabama, and is widely recognized as the most bitter rivalry in college football. The game was first played from 1893. While Alabama leads the overall series 44–35–1, Auburn has won nine out of the 17 meetings since it became a home-and-home series in 1989. Auburn football teams have been invited to participate in 40 total bowls and have garnered a record of 23–15–2. Auburn ranks as one of the best programs in the nation in success in bowl games. Auburn ranks 16th in all-time bowl appearances with 40, 10th in all-time bowl wins with 23, and 5th in all-time bowl win percentage (minimum of 20 games) at .622. Most recently, Auburn beat the Memphis Tigers in the Birmingham Bowl, 31–10, on December 30, 2015. Auburn faced #1 Florida State in the 2014 BCS National Championship Game in Pasadena, California on January 6, 2014. They lost by a score of 34–31. It was the Tigers' second BCS Championship appearance in four years. Auburn plays Georgia as a permanent non-division opponent annually and rotates around the East division among the other six schools. ↑ "Official Colors". Auburn Tigers. Retrieved 2016-11-26. ↑ "Prestige Rankings: Scoring system explanation". ESPN. 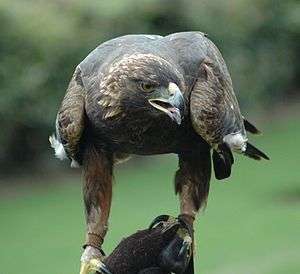 ↑ "AUBURNTIGERS.COM :: Auburn University Official Athletic Site Auburn University Official Athletic Site :: Football". www.auburntigers.com. Retrieved 2016-07-07. ↑ "Division I-A All-Time Wins". College Football Data Warehouse. 2011. Retrieved 2011-01-21. ↑ "I-A Winning Percentage 1986–2010 (25 years)". Stassen College Football Information. 2011. Retrieved 2011-01-21. ↑ "I-A Winning Percentage 1955–2010". Stassen College Football Information. 2011. Retrieved 2011-01-21. ↑ "I-A Winning Percentage 1892–2010". Stassen College Football Information. 2011. Retrieved 2011-01-21. ↑ "Billingsley's All Time Top Programs". College Football Research Center. 2011. Retrieved 2011-01-21. ↑ "Billingsley's Top 200 Teams of All Time". College Football Research Center. 2011. Retrieved 2011-01-21. ↑ Joe Penkala. "College Football". Bleacher Report. ↑ "College Football Data Warehouse". cfbdatawarehouse.com. ↑ "College Football Prestige Rankings: Nos. 21–119". 2009. Retrieved 2010-02-14. ↑ "Final AP Poll Appearances Summary". AP Poll Archive. 2011. Retrieved 2011-01-21. ↑ "Total AP Poll Appearances Summary". AP Poll Archive. 2011. Retrieved 2011-01-21. ↑ "Auburn in the Polls". College Football Data Warehouse. 2011. Retrieved 2011-01-21. ↑ "Heisman Trophy Winners to be Honored with Statues Outside Jordan-Hare Stadium". cstv.com. ↑ "Auburn Football History and Tradition". Auburn University Athletics Department. Retrieved 14 May 2014. ↑ "Auburn Traditions". Auburn University. 2006. Archived from the original on 28 August 2006. Retrieved 2006-09-01. ↑ "Alabama Sports Hall of Fame and Museum – Birmingham, Alabama". ashof.org. ↑ "Auburn Yearly Totals". cfbdatawarehouse.com. ↑ "The best Walk in America". ESPN.com. 2003. Archived from the original on 8 October 2007. Retrieved 2007-10-13. ↑ Barnhart, Tony (2000). Southern fried football: the history, passion, and glory of the great Southern game. Triumph. p. 49. ISBN 978-1-60078-093-6. ↑ "Auburn to name Chizik as coach". ESPN.com. 2008-12-15. Archived from the original on 29 March 2010. Retrieved 2010-03-11. ↑ The National Collegiate Athletic Association (NCAA). "National Poll Rankings" (PDF). 2010 NCAA Division I Football Bowl Subdivision Records. NCAA.org. pp. 68–77. Retrieved 2011-03-11. ↑ "AuburnTigers.com – Official Athletics Site of the Auburn Tigers – Traditions". auburntigers.com. ↑ "Heisman Trophy Winners". heisman.com. Archived from the original on December 9, 2007. Retrieved 2007-12-14. ↑ Alder, James. "Walter Camp Award Winners". About.com. Archived from the original on 7 January 2008. Retrieved 2007-12-14. ↑ "All-Time Outland Trophy Winners". Football Writers Association of America. Retrieved 2007-12-14. ↑ "The Rotary Lombardi Award Website — Winners". Rotary Club of Houston. Retrieved 2007-12-14. ↑ "The Jim Thorpe Award — Past Winners". The Jim Thorpe Association. Archived from the original on 2007-11-11. Retrieved 2007-12-14. ↑ "Rimington Trophy". Retrieved 2014-12-10. ↑ "Paul "Bear" Bryant Previous Winners" (PDF). American Heart Association. Retrieved 2007-12-14. ↑ "Home Depot Previous Winners". Home Depot. Retrieved 2010-12-08. ↑ "Chizik picks up another coaching honor". ESPN.com. Retrieved 2011-03-07. ↑ "Former Winners of the Broyles Award". Rotary Club of Little Rock. Archived from the original on 2007-11-09. Retrieved 2007-12-14. 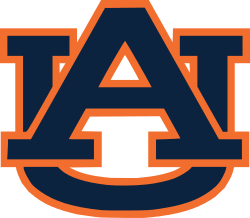 ↑ "Auburn Tigers Football Schedules and Future Schedules". fbschedules.com. Retrieved 2012-09-02.